These were a few EBD LE backglasses we tried an “antique black” ink design on. The black areas essentially have a slightly “aged” look, but otherwise the rest of the glass is normal. 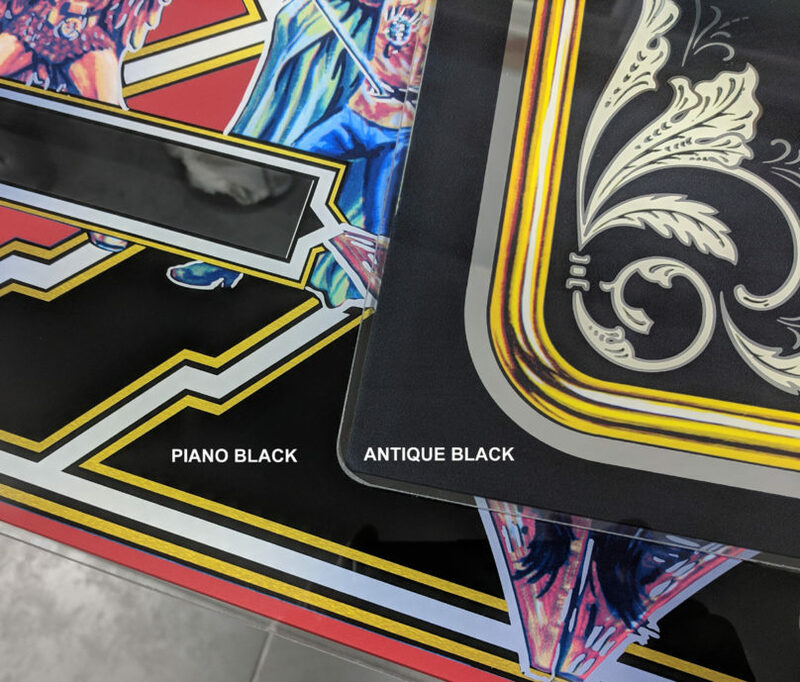 After seeing the results, we decided the standard “piano” black looked better. We’re going to put these up at a discount compared to the regular stock. Check out the Gallery Photo to see the difference between standard black (shown on Flash Gordon) and the antique black on these glasses. If you can handle what you see in the photo, this glass may save you some $$$! These glasses will still most certainly save a game with a trashed or lost backglass, or for the LE owner on a budget. Or gameroom wall hanger ! Genuine tempered glass (not a translite). 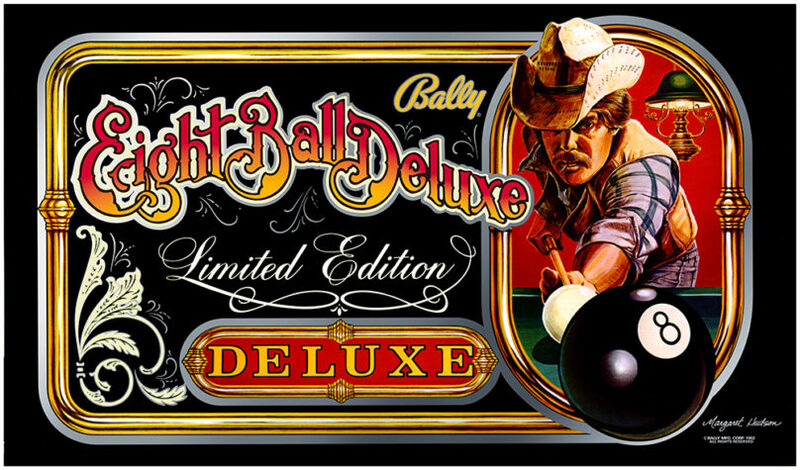 The unobtanium Eight Ball Deluxe LIMITED EDITION backglass! Finally reproduced for the first time in history. Flawless multi-layer digital print. Fully mirrored backglass, as the original. Polished corners and edges, ready for new trim and lift bar. Gorgeous replacement, finally get rid of that old chipped, crackled, or shedding original backglass.